Radio is a highly relevant and effective medium for FMCG brands. Find out why and how with our five-point guide below. 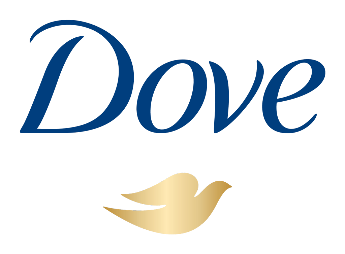 Recency theory claims that the closer an advertising impact is to the point of decision, the more likely it is to have an effect. This is particularly pertinent for FMCG brands that are a regular low involvement purchase. With radio the advertiser has the opportunity to prompt people when they are leaving to go shopping/in the car on the way to the shops or give parents meal ideas when on the school run. When radio is included in the mix, radio advertising significantly increases brand salience over TV advertising alone helping FMCG brands spring to mind more readily in purchasing situations. 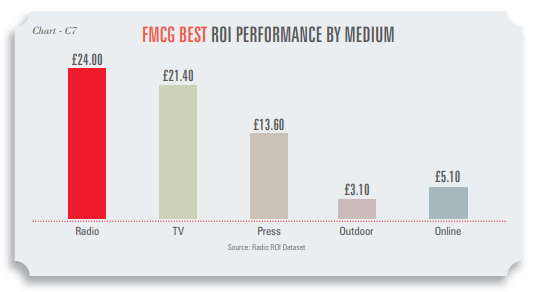 For FMCG brands, radio ROI averages at £1.90 revenue ROI per £1 spend, which places it third, behind TV and press. However, the top performing FMCG brand achieves radio ROI of £24.00 per £1 spend, exceeding the best ROI performance of any other medium. 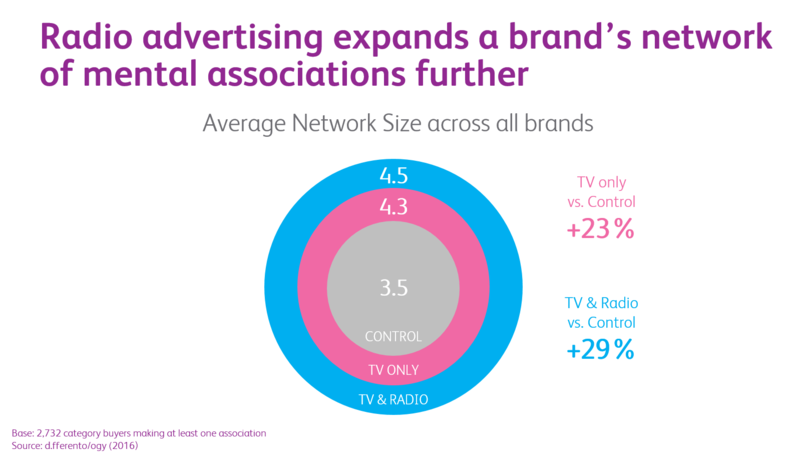 Analysis reveals the importance of creative synergy with TV in achieving this effect – and how allocating budget to radio increases total campaign ROI. 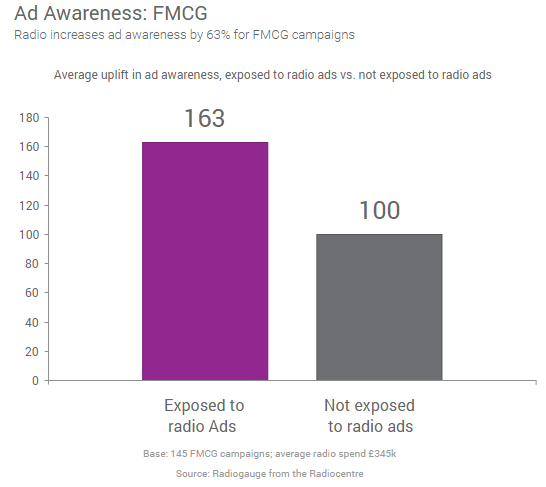 Ongoing effectiveness research study Radiogauge underpins how radio has a significant uplift effect on awareness, brand relevance, and consideration for FMCG brands. Using radio scheduling to maximise profitable levels of business. 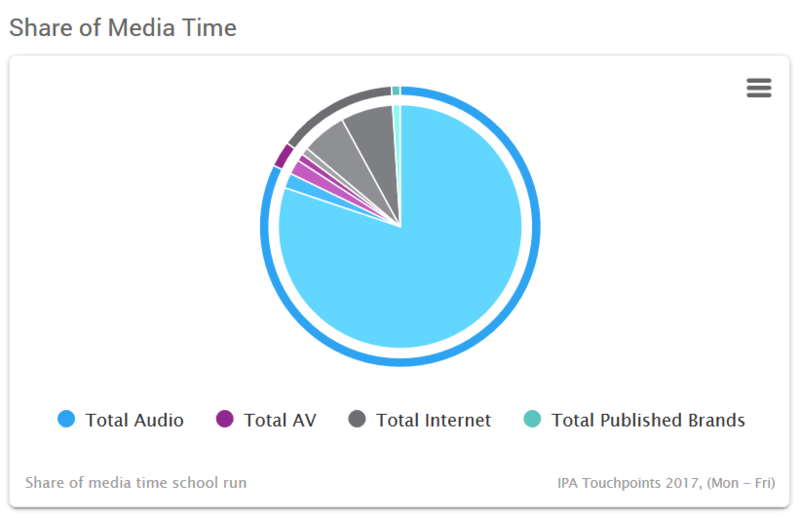 Using radio to reach listeners at a key time of the morning to increase saliency. 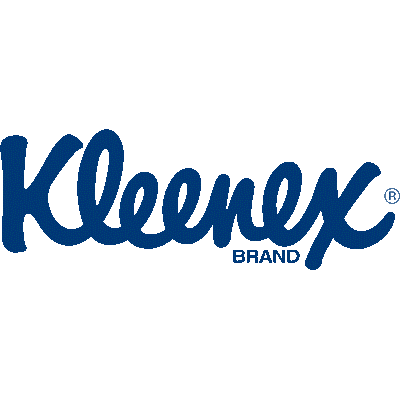 Using radio, during the cold and flu season, Kleenex Anti-Viral needed to build awareness of its core benefit.